The US nuclear power industry got a boost this week when state authorities in Georgia gave the go-ahead to complete construction on two new reactors. The Georgia Public Service Commission on Thursday approved construction of Vogtle reactors three and four, the last planned reactors of this type in the United States. A project in South Carolina was halted in July. The two new reactors at the Vogtle plant in Georgia are expected to enter service at the end of 2022. "Demonstrating we can build and complete new nuclear plants here in America will help us regain our leadership in a technology we invented," Maria Korsnick, president of the Nuclear Energy Institute in Washington, said in a statement. "America's pre-eminence in nuclear energy makes our country safer because it allows us to influence and control how this technology is used around the world." 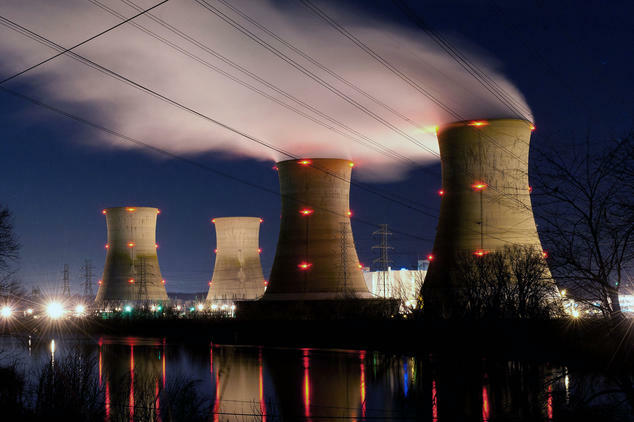 Currently there are 99 reactors in the United States, accounting for about 20 percent of the country's electricity generation. But apart from the Vogtle project, no other reactor is under construction and none have come on line since last year. President Donald Trump has shown much more interest in reviving coal power than nuclear, even though Energy Secretary Rick Perry on Twitter called the Vogtle decision "an important milestone for the future of clean, reliable, and American nuclear energy!" No new US reactors were brought on line between 1996 and 2016, with the bulk of construction dating to the 1970s and 1980s. But the United States is still the world's largest producer of nuclear energy. The bankruptcy earlier this year of one of the sector's main players, Westinghouse, which had been acquired by Japan's Toshiba, did not help matters. Its AP1000 technology is being used in the construction of the two new reactors at the Vogtle plant. Westinghouse collapsed under the weight on colossal debt, which Toshiba must now repay before it can sell off the assets of the subsidiary, which still has eight AP1000 reactors in construction in the United States, South Korea and China, as well as a dozen projects in the planning stages. While it does not contribute to climate change, environmental activists oppose nuclear power because of the risks it poses and the need to handle and process the radioactive waste it generates. The Southern Alliance for Clean Energy condemned the Voglte plant approvals, calling the project mismanaged and five-years behind schedule, with costs having doubled to $27 billion. "As the last new nuclear power plant standing this should be a lesson: these nuclear facilities cannot be built on time nor on budget," and are vulnerable to corruption and mismanagement, executive director Stephen Smith said in a statement. The Sierra Club had a similar reaction. "Georgia Power should scrap this disaster immediately and instead transition away from dangerous nuclear and fossil fuel-based electric generation and toward a 100 percent clean energy economy that creates good jobs, protects our environment and shields our communities from the gross financial risks associated with bad bets like Vogtle," the organization said in a statement.